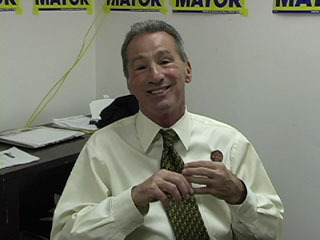 On Lisa Rein's Radar: Why Vote For Tom Ammiano Instead Of Angela Alioto? Why Vote For Tom Ammiano Instead Of Angela Alioto? The other person I wanted to ask you about was Angela Alioto. Well, you know, Angela is a very interesting person. She has a lot of personality, but I don't think she has a lot of substance. I worked with her on the Board many years ago, and she can certainly put her heart behind an issue. But when it really came to taking on business, and when it really came to taking on established practices, she's more a woman of Pacific Heights. I think people need to remember that this is also a "money" person. Now a money person doesn't have to be necessarily an "evil" person. However, I think there is a disconnect with a lot of the working class people and culture in San Francisco. I think she's been somewhat removed, and she certainly has interrupted her political career for the past 12 years, and I don't think she's in the loop in the same way. She didn't support District Elections, and now she says she does. So there's a lot of reinvention on her part, and I think it would be a big mistake to have her as Mayor of San Francisco. I think, we'd, if anything, have some chaos. If you look at her contributors, they're a lot of the same developers that have been around for a long time, and lobbyists, and we've really gotten away from that. We certainly don't want a mayor that encourages that. And definitely Newsom could do the same thing.